Fully automatic operation, self powered, simple connection to vehicle, works on any type of ignition system. Tach turns on when engine starts, displays highest RPM for 30 min. after engine is turned off, then shuts off automatically. Easy to configure to different ignition systems. Up to 16,000 RPM range. Rugged design, specifically designed to work with magnetos. Fully self contained - easy 2 wire hookup. Full 1 year warranty - Units are fully serviceable. All the features of the TEL TAC II plus. Automatically records the best 2 laps from each session. Displays 4 high rpm readings (straights) & 4 low rpm readings (corner) + overall high reading. Displays all 9 readings automatically when engine shuts off. 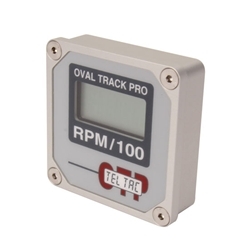 Having the exact rpm range from each session gives you information never available before in a self-contained unit. This info is invaluable for setting proper gear ratios, engine tuning, chassis setup, driver consistency etc. Having 4 extra high rpm readings confirms the true top rpm. The 4 low rpm reading lets you know your actual rpm range, also shows the differences from each corner. 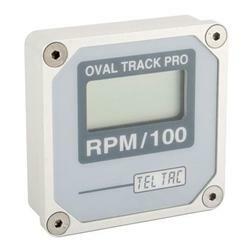 If you run a magneto, you need this tach!